If you haven’t heard about the environmental problems with the global bottled water industry, perhaps you might have been living under a rock for quite some time. Given the state of the unpleasant news, I reviewed an interesting article by Treehugger that got me thinking…. If bottled water is bad, could bottled juice be any better? 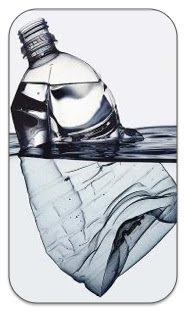 Bottle Water in Nutshell: First it takes million barrels of oil to manufacture the plastic containers. Not to mention the shipping of empty bottles, filling them up, transporting them. You get the point. If you break the numbers down, for 1 liter of Fiji bottled water, which would be imported into the U.S. has carbon emissions estimated at 39% for the production stage and 61% for distributing the filled bottles, or about 0.55 pounds for 1 liter of bottled water. The Carbon Footprint of OJ: For the sake of comparison, a Tropicana half gallon of juice comes to 3.75 pounds of carbon. That number is based on more than just squeezing oranges – it is the packaging, distribution, and orange growing. The biggest difference in the two numbers points to fertilizers. Sure, we don’t like insects and diseases in our oranges, but the application and production is the single largest source of emissions. Now the water example doesn’t seem so bad, right? Not to me...but just a different point of view. What if your bottled water came from local sources versus being shipped from the other side of the world? More importantly, why not just invest in filtering your water at home? Fresh tap water…who would have thought! If you can’ t invest in the big filters, try to make greener choices by saying “NO” to the plastic straws during your dinner outings and fast-food lunches.